The FD 8730HS is a combination High Security Shredder for the destruction of Paper and Optical Media that meets the requirements of NSA/CSS Specification 02-01 for High Security Cross-Cut Paper Shredders as well as NSA/CSS Specification 04-02 for Optical Media Destruction Devices. 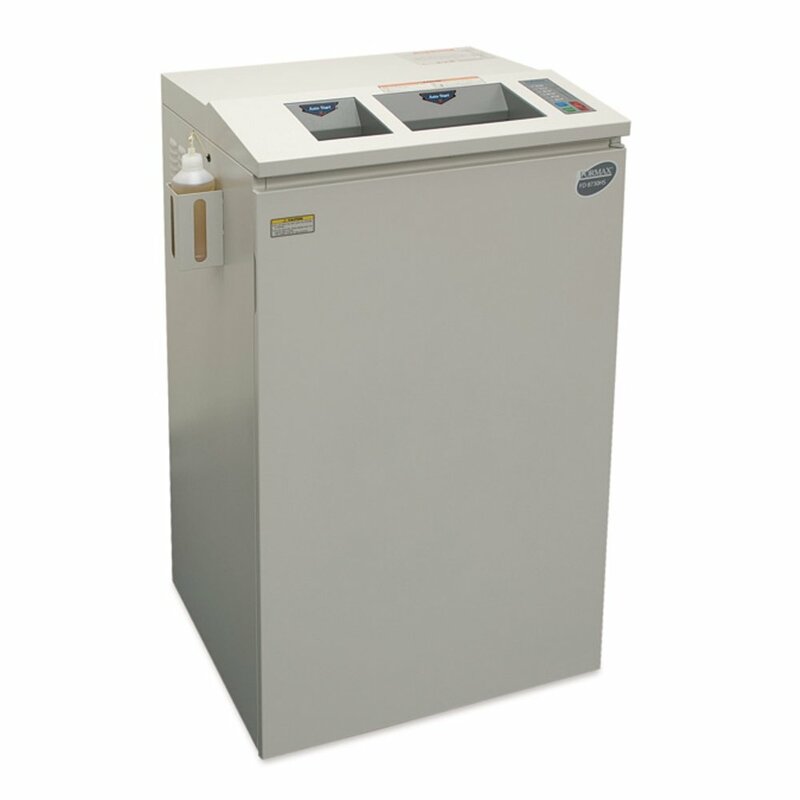 The FD 8730HS is the perfect solution for top secret and classified shredding of Paper and Optical Media including all types of CDs, DVDs and credit cards. The Optical Media cutting system shreds up to 2,000 CDs per hour into 1/16” x 5/32” particles. The Paper cutting system shreds up to 15 sheets at a time and produces 1/32” x 3/16” particles. The FD 8730HS includes the EvenFlow™ Automatic Internal Oiling System that lubricates the cutting heads automatically during use. Other features include an all-metal cabinet with casters, steel gearing, lifetime guaranteed waste bins, and an easy-to-use control panel with digital load indicator. In addition, the ECO Mode saves energy by automatically switching into standby mode after 5 minutes of inactivity.